In this instance we were faced with an early 90’s Hot Springs Prodigy with a dead circulation pump and control system. 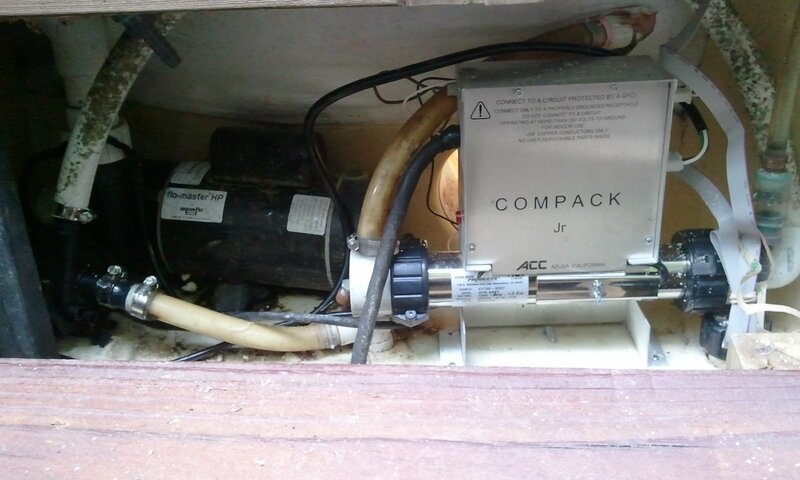 This was easily converted to an ACC Compack Jr… which is a 115V control system that provides all the options and power we were looking for to get the customer’s spa up and running again. The above photo is after the old Laing circulation pump and Hot Springs heater was removed. Note the water is draining from the spa through the hoses. The original jet pump, (an Aqua-Flo 1 HP pump) was still operational. When we changed out the circulation pump, we opted for the very reliable Grundfos circ pump, which has 1″ suction and discharge ports. 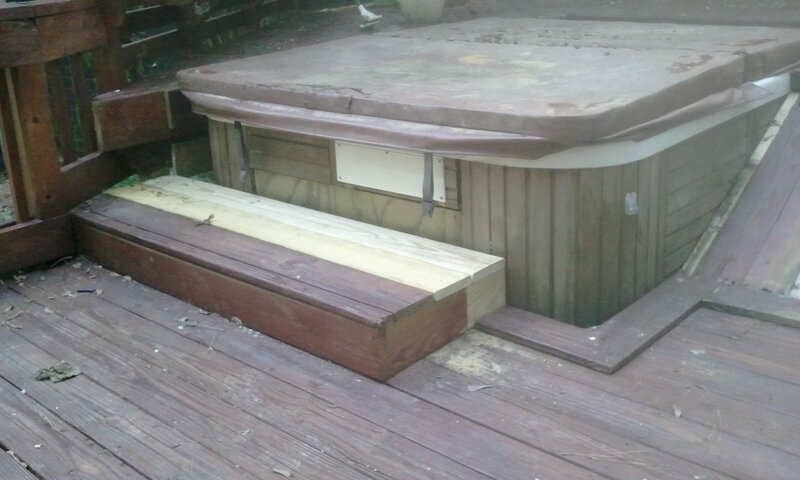 Since the Hot Springs Tub uses 3/4″ plumbing everywhere, we used special adaptation to work with it. 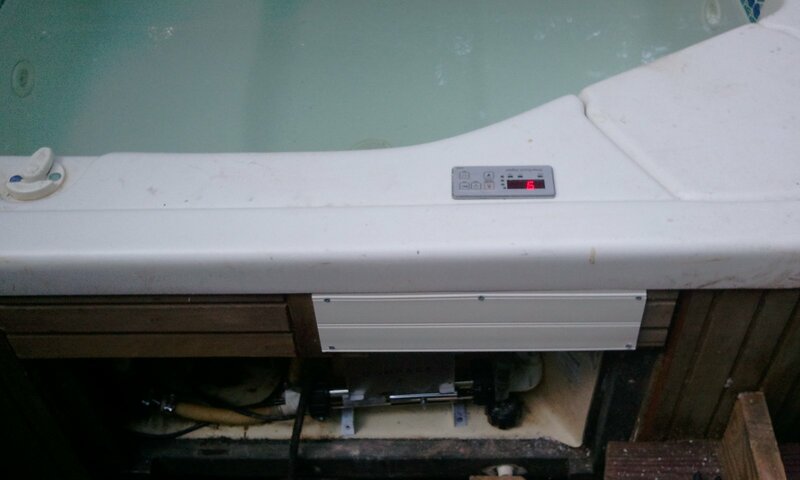 Once everything was leak free, we cut a new mounting hole for the topside control panel for the spa, installed it, and watched the spa work flawlessly. The image above shows the new controller, and the cover for the old Hot Springs control system, which consisted of large round knobs and big buttons. Once this was done, new deck work was completed to make the spa safe and a pleasure to be around. 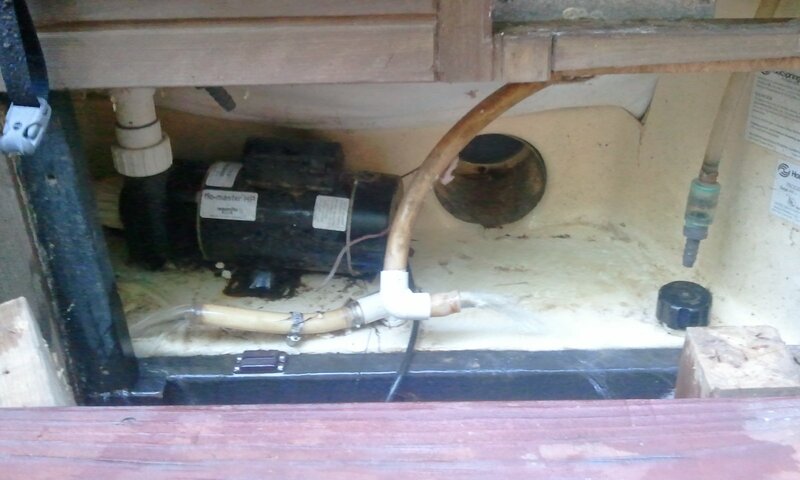 If you’ve got a situation like this, just give us a call and we’ll do our best to advise you the best way to bring your Hot Springs Spa back to life again.